It’s official, the fall is here at last, which means that the cold weather is not far behind. The fall is the best time of the year. It’s the time of year when the leaves go from green to stunning reds, oranges and yellows, the time when we all get to pull out our cozy sweaters and jackets, and the time for pumpkin pie, spooky costumes and scary movies. Nothing beats the fall, but the one downside of the fall is that it’s followed closely by the winter. The cold weather will be here before we know it, which means that right now is the perfect time to maintain your HVAC system. 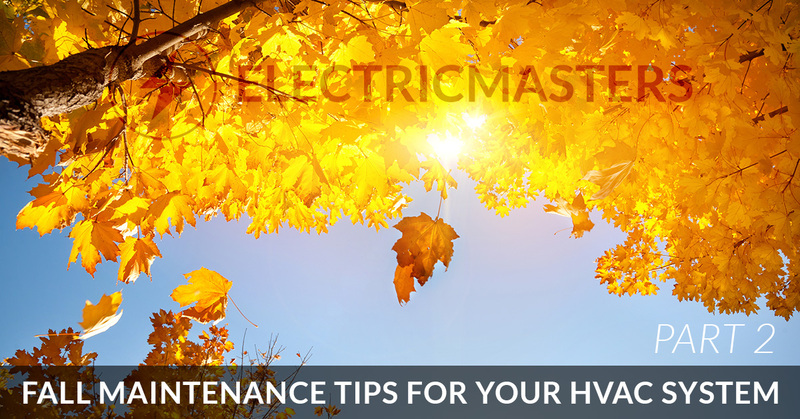 In our last blog, we touched on several HVAC maintenance tips for fall; check them out if you haven’t had a chance! Keep reading to learn more. You can learn a lot about your HVAC system by checking your thermostat, including whether or not the HVAC system is running efficiently. Change the temperature on your thermostat. If your thermostat is reflecting the temperature accurately and it responds to your commands properly, then it’s working. In addition to testing your thermostat, it’s also important to make sure that the settings are ideal for the new season if your thermostat is programmable. #6. Schedule professional HVAC maintenance. 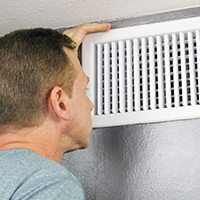 Although there are a lot of things you can do on your own to keep your HVAC system in good shape, chances are high that you simply don’t have the know-how or the experience to spot problems or issues with your system that aren’t overly obvious. Hiring a professional HVAC contractor to come out to inspect and maintain your HVAC system is one of the best things you can do to prevent the need for repairs and keep your system running efficiently for as long as possible. #7. Invest in a space heater. If something does happen to your HVAC system during the winter, you’re going to need a space heater to keep your home warm, comfortable and safe until you can get your current system repaired or replaced. A space heater is a great option in the interim, and they are also great if one person in your home likes it warmer than everyone else. However, it’s important to make sure that you stay safe while using a space heater. Check out our previous blog to learn the dos and don’ts of using a space heater. #8. Install a backup generator. If the power goes out during the winter, having a backup generator is a must. Not only will a backup generator help to keep your home warmer and safer, but it will also ensure that you have the water and food supply you need throughout the power outage. Whether your HVAC system is due for routine maintenance or the time has come to install a new backup generator in your home, the experts at ElectricMasters in Cincinnati can help. We’ve got what it takes to handle all of your electrical and heating needs. Contact us today!